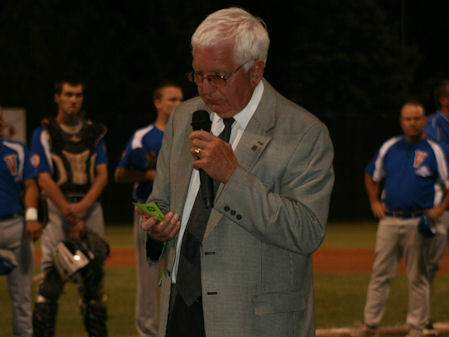 Russell E. Diethrick Jr. Park is located on Jamestown Community College's campus and serves as home of the Jayhawk baseball team. 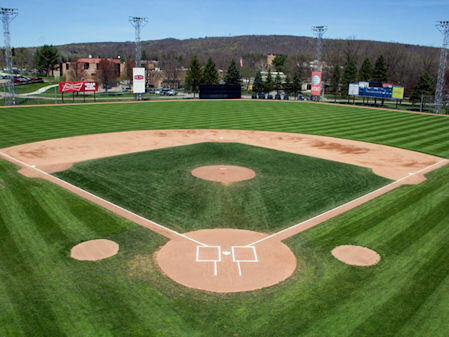 The municipally owned and operated baseball stadium began its life in 1941 as home of one of the six original teams in the New York-Penn League (originally PONY League) baseball organization that formed in 1939. Today the league is the longest continuously operating Class A league within the National Association of Professional Baseball Leagues, the governing body of minor league baseball. 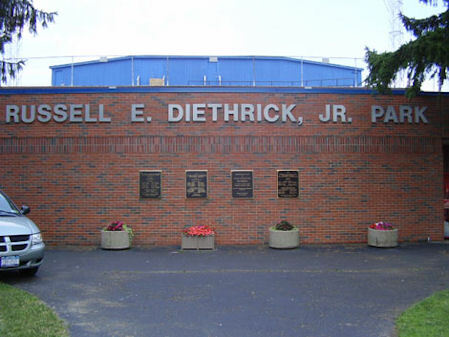 Today Diethtick Park serves as the home of the Jamestown Community College and the Jamestown High School Red Raiders. The 4,200 seat facility has undergone a series of renovations since 1984 and is a source of pride and pleasure for the community. 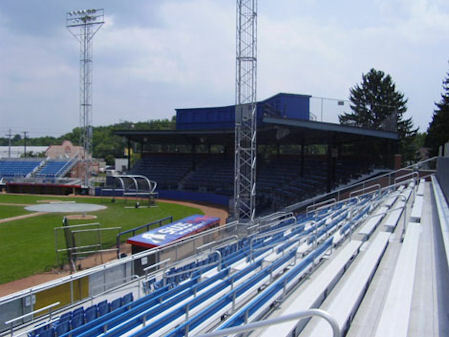 This stadium has been the site of every single Babe Ruth Baseball World Series hosted in Jamestown. Park dimensions are 335 feet to left field, 410 to center field and 342 to right field. Take I-90 West to the Fredonia Exit (59). Turn left onto Route 60. Continue roughly 26 miles till you hit Jamestown. Turn left onto Buffalo St. Follow Buffalo until you reach Falconer St. Turn left onto Falconer St. Stadium will be on left hand side. Take I-90 East to exit 37. Take I-86 into Jamestown (Exit 12). Turn right at the off ramp. Follow Route 60 until you hit Buffalo St. Turn left onto Buffalo St. Follow Buffalo until you reach Falconer St. Turn left onto Falconer St. Stadium will be on the left hand side. Take Route 17 West. Route 17 will turn into I-86. Follow I-86 till Jamestown (Exit 12). Turn left at the off ramp. Follow route 60 till you hit Buffalo St. Turn left onto Buffalo St. Follow Buffalo until you reach Falconer St. Turn left onto Falconer St. Stadium will be on the left hand side. Take I-79 North. At exit 178A, take ramp on I-90 towards Buffalo. Take ramp at exit 37 onto I-86 towards Jamestown. At exit 12, turn right onto Route 60. Follow Route 60 until you hit Buffalo St, Turn left onto Buffalo St. Follow Buffalo until you reach Falconer St. Turn left onto Falconer St. Stadium will be on the left hand side. 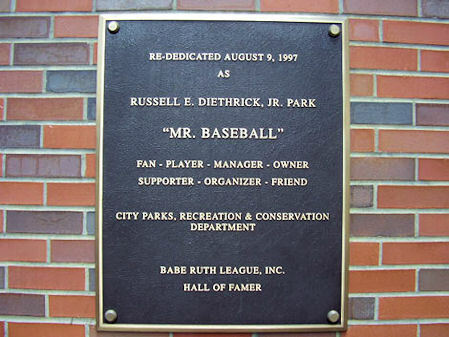 In 1997 the park was renamed for long-time City Parks Director, Russ Diethrick, Jr. who was instrumental in modernizing it. 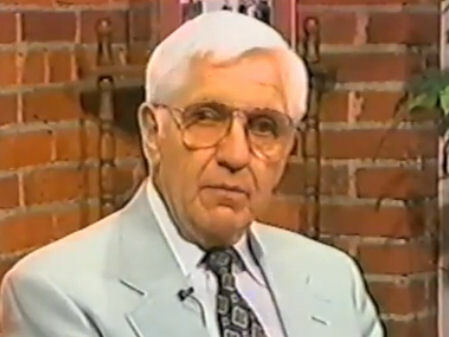 Russ was also honored that year with induction into the Babe Ruth League Hall of Fame and will serve as the 2015 13-Year-Old World Series Host President.